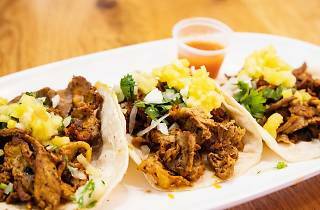 Essentially the street-food incarnation of its sister venues Anahuacalli and El Hacienda del Sol, this cheerful little joint in the 10th conceals some eminently edible tacos and burritos behind its bright green façade. The operative term being 'street-food': the cosy interior doesn't leave much space for seating, though an outdoor terrace opens up in good weather. 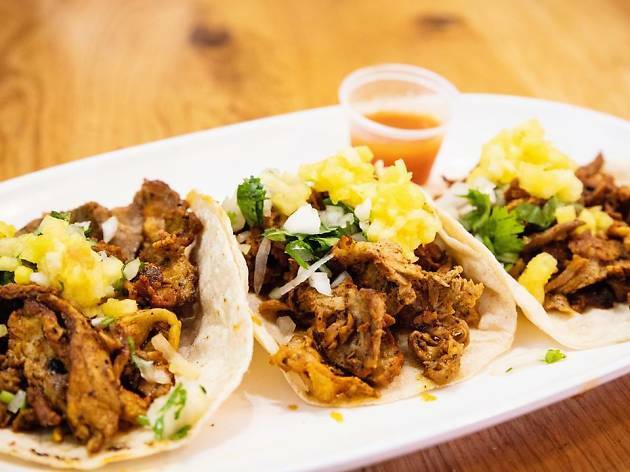 The tacos are simple but well prepared, offering the usual choice of meat and garnishes; the menu extends to burritos, ceviche (marinated raw fish) and napalitos (cacti). If you do manage to nab a seat, you're best off upgrading your order to one of three set menus, which tack a drink onto your meal: €10 with a soft drink, €14 with a Corona or €17 with a homemade margarita. Few surprises, then, but top points for scrumptiousness.